The wait is almost over! Sony has announced the launch date and price of the much-anticipated PS VR (PlayStation VR). In development for several years under the name of Project Morpheus, Sony’s virtual reality headset was revealed at the 2014 GDC (Game Developers Conference) to much fanfare. Since that time, Sony has been fine tuning the PS VR and working with more than 230 developers and publisher to ensure a successful launch. With recent release dates and pricing on the HTC Vive and the Oculus Rift, everyone was left wondering at what price point Sony would introduce the PS VR to the masses. Before we look at the price and release date of the PS VR, let’s take a look at what’s under the hood of the PS VR, and games that are coming to Sony’s virtual reality headset. What’s under the hood of the PS VR? Sony designed the PS VR to work with all 46 million PlayStation 4 consoles in homes worldwide. All you have to do is plug your PS VR headset and PlayStation 4 camera into your PlayStation 4 and you’re ready to go—it couldn’t be any easier! In order for the PS VR to be a success, Sony knew that it had to offer the ultimate VR experience. To further immerse you in the VR experience, Sony designed PS VR headset to be lightweight, comfortable, and completely adjustable—it’s almost as if it’s not even there. So what do all these specs mean to you the gamer? The 5.7-inch Full-HD advanced OLED display will offer razor sharp graphics with RGB (red, green, blue) subpixels that help smooth out the image you see. Additionally, one of the most important specs offered by the PS VR is its amazing 120Hz refresh rate. Although some of the first games won’t run natively at 120 FPS, the PlayStation 4 will add extra frames to make it feel like its running at 120 FPS. In a nutshell, the PS VR looks as if it is going to offer gamers one of the best, if not the best VR experiences ever. The PS VR is all about games, and from what I have seen so far it looks as if Sony won’t disappoint. With over 160 titles in development, 50 of those are slated for launch between October and the end of 2016. Holy cow! Sony has secured some big name game developers and publishers like Bandai Namco, Capcom, FromSoftware, Square Enix, 2K Games, Electronic Arts, Ubisoft, and Warner Bros. to develop games for the PS VR. Announced games expected to launch this year include: Eagle Flight, EVE: Valkyrie, Headmaster, Rez Infinite, Wayward Sky, RIGS: Mechanized Combat League, and Until Dawn: Rush of Blood. Get this, Electronic Arts and Lucasfilm are working on an all-new Star Wars Battlefront gaming experience only for PS VR. Too cool! That’s not all, the PS VR all features a Cinematic mode, which allows you to play most standard PlayStation 4 games and videos on a large virtual screen. In addition, the external processor box allows your TV to display a 2D image of what you are seeing and players can join in on multiplayer asynchronous games. We now know that the PS VR will launch October 2016 with a competitive price point, and come in two different bundles. Let’s take a look at both bundles so you can see which bundle is right for you. So which bundle is right for you? 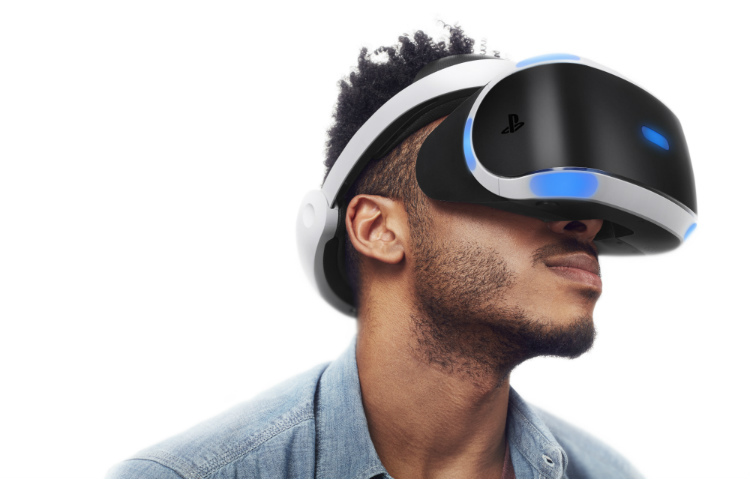 The PS VR requires the use of the PlayStation 4 camera to provide accurate 1:1 head tracking. If you already own the $70 camera, then the PS VR Core bundle may just be what you are looking for. However, in my opinion the PS VR Launch Bundle will give you the best bang for the buck. 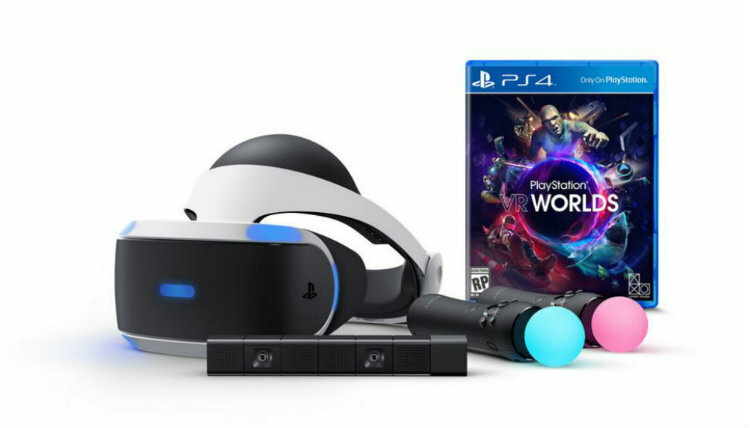 You get everything from the PS VR Core Bundle, two PlayStation Move Controllers (for full-range motion control in games), and the PlayStation VR Worlds disc (five virtual reality experiences developed specially for the PS VR). Sony never fails to impress, and the PS VR looks as if it’s going to be a hit with gamers around the world. With competitive pricing, high tech hardware, and a lineup of over 50 games before the end of 2016—those looking for the ultimate home VR experience have finally gotten their wish. While initial pre-orders for the PS VR Launch Bundle start Tuesday March 22nd at 10 AM EST, Sony has promised that if you miss out on the first wave of pre-orders another allotment will be available in the summer. Let me know in the comments section below what excites you most about the PS VR.